Wigan may not have been a happy hunting ground for Liverpool in recent seasons but given the strength of their away form in the current campaign, Kenny Dalglish’s team can triumph on their latest visit. Only Manchester United have won more Premier League away games than Liverpool this season and they are on the cusp of three successive victories for the first time in the campaign. Liverpool’s odds are 1/2 to beat Wigan and a victory would keep them on the periphery of the top four in the Premier League standings. Wigan have avoided defeat in their last three home games with Liverpool and have slowly begun to turn their season around of late after a horrid run of eight straight defeats. The latest draw with Chelsea will give Wigan confidence that they can take points off the top clubs and it is 6/1 that they beat Liverpool and 11/4 that they claim a draw. If Wigan are to secure a result then they will hope that Hugo Rodallega recovers from the injury that he picked up in the Chelsea draw. The Colombian has scored against Liverpool in each of their last two visits to the DW Stadium and is 5/2 to find the target against them again in the 90 minutes. Jordi Gomez has been a slightly unlikely source of goals for Wigan of late and manager Roberto Martinez will be hoping that the midfield continues his hot streak. Gomez is 7/2 to score at any time and a potentially lucrative 10/1 to open the scoring. 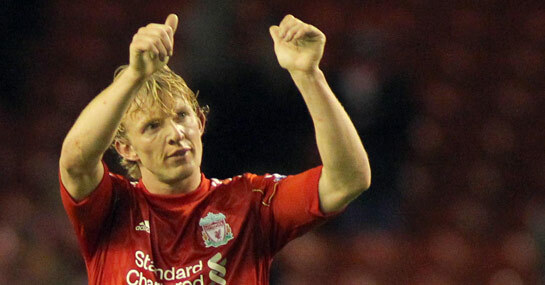 It is no surprise that Luis Suarez is the favourite in this market at 7/2, but the better Premier League bet may prove Dirk Kuyt at 7/1, given that he will be well rested having started Liverpool’s last top-flight game against Aston Villa on the bench.